ASIS International is a global association of the security industry with a large annual trade show, rebranded in 2018 as the GSX show. ASIS International's marketing manager Jessie Wolfe began using Feathr in 2017, and knew the platform was effective as a one-stop marketing solution for her events. 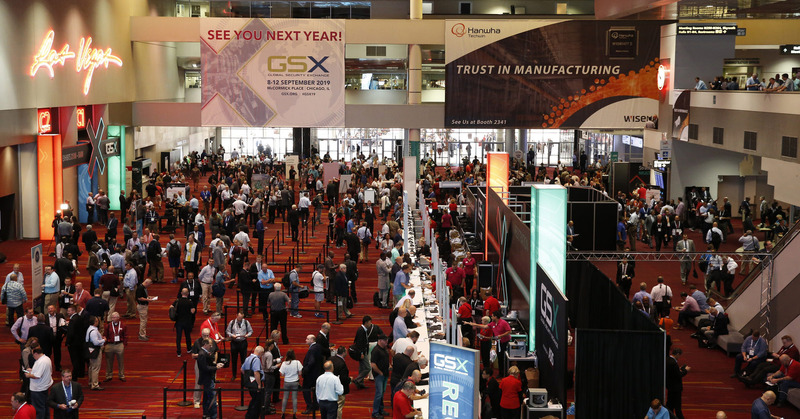 GSX 2018's trade show floor. The ASIS International team used Feathr to earn registrations by retargeting their web visitor audience with ads encouraging them to register. All in all, they ran 10 display campaigns, earning over a thousand attendees with simple and effective creatives. However, the real magic for GSX 2018 came with incorporating Feathr products Invites and Monetization. These products complement and magnify each other and contributed to making GSX 2018 an overwhelming success. But since this is just a preview, you'll have to check out the full case study to learn how it all came together. Check it out here. If you want to learn how the full suite of Feathr products can work to grow your event, we'd love to chat. Just click here to start a conversation and we'll do the rest!